Big relaxation – that’s a concept to conjure with, isn’t it? As busy parents, we are usually stressing ourselves out trying to keep on top of everything, from work to the daily chores, from cooking, cleaning to parenting. Sometimes it feels like our homes are more like offices than places to relax and the time we get to spend with our family is decreasing rapidly – through no fault of our own. 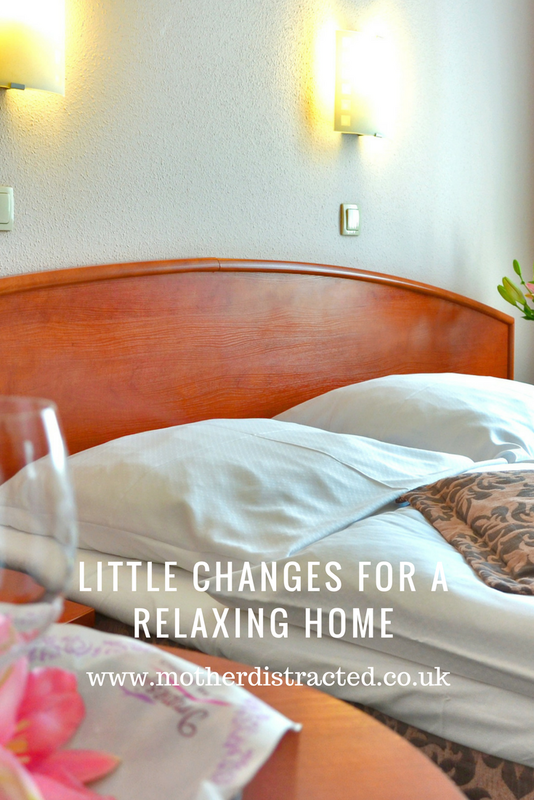 So, are there little changes you could make to your home to make it more tranquil and more like the safe haven you originally envisaged? A way of creating big relaxation with tweaks that are easy to do and cost little? The trick is not just to change your interior, but to also change your attitude to the home and taking charge of all the things that stress you out about it. If you want to relax more, the catch 22 is – you have to make space to do that. There are often times in the day when you want to go away and ‘decompress’. We might want a break from a nagging partner, a crying child, noise from builders, neighbours or traffic. If you haven’t got the room to create a ‘relaxation zone’, the best place to grab a few moments peace is the bathroom. There is nothing quite like a relaxing bubble bath lit by candles and accompanied by a nice glass of something cool and sparkling. You can create a more ‘spa like’ feel by investing in soft, plush towels, fragrant candles and bath oils. You could invest in some gleaming new accessories to add a touch of cost-effective luxury such as heated towel rails you can find on sites like Bathroomtakeaway.co.uk or even a new bathroom suite. We have an old enamel bath and a rather battered sink and although we would like to redecorate the whole room, are considering this as a quick fix. When you’re weighing up a cost of a couple of hundred pounds against a few thousand pounds, you tend to ‘make do’ and spruce up what is already in place. Of all the rooms to invest larger amounts of money when you are considering selling, it’s the kitchen that is probably the best starting point. But, again, if you are planning to stay put for a few years, buying new doors for your kitchen units and, for example, investing in some new taps or replacing an out of date hob could give you a new look and make your kitchen a much less stressful place to be. It’s also worth scheduling some time for DIY to finally fix those irritating things that drive you up the wall – the drawers that stick, the gungy filters in the overhead extractor fan, the dripping tap – I’m sure you can think of a few niggles of your own. We recently had a big clear out and chucked out loads of plastic take-away containers (from bygone days before we had the kids) and baby plates and cups I had been keeping ‘just in case’. The kids are 8 and 10! If you’ve got a home that is full of bold colours, such as red, violets, purples, dark browns and even black (surely not! ), these have been shown to have a less than positive effect on our stress levels – not to mention the fact that darker colours will make a space look smaller. Instead, choose more relaxing hues and fresh colours, greens, blues, whites and neutrals. These will be add the illusion of extra space. Add clever lighting, mirrors and some indoor house-plants and you’ll find your space is much more ‘zen’. Whilst you are making these subtle upgrades to your space, you may find that this involves unearthing a whole heap of clutter. To make room for, say, a bigger bed, lots of ‘stuff’ may have to go. You may even need to hire a skip or a Hippo bag or take a trip to your local tip! Once you have decluttered, you need to make it a regular habit and keep your spaces as clutter-free as possible. Easier said than done when you have kids (or hoarding tendencies like I have). Just make sure you don’t throw away things that are really special to you. As a family we schedule regular clear outs which involve at least a couple of trips to the local charity shops or donations to the local scouts’ jumble sales. Because a messy house makes for a messy mind, by keeping on top of these things, you will feel the benefits more. Sometimes the things around us can stress us out without us even realising it – they trigger a subconscious reaction which affects our mood. For example, if you have unopened bills lurking in every drawer, pull them out and create a filing system for them – whether it’s in a lever arch folder or filing cabinet. That way you’ll have the satisfaction of knowing your finances are being properly dealt with and you won’t get stung with any later payment fees or arrears either. If you can remove things that are likely to stress you out, or put them somewhere you cannot see them, you won’t constantly be thinking about them. 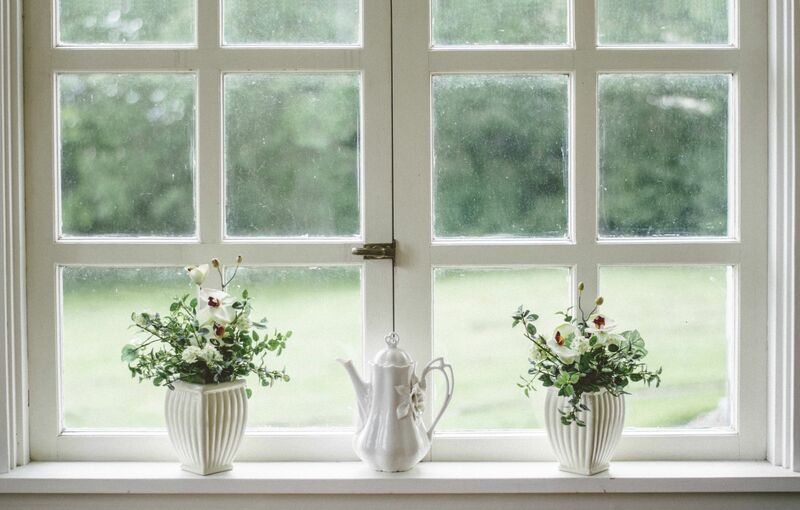 In the meantime, if you feel areas of your home or your family’s general untidiness are contributing to your stress levels, you may find the strategies outlined in this article in Psychology Today helpful. There are loads of practical things you can do to manage your home but it will involve getting the family to pull together and contribute. Perhaps we should hold regular ‘house meetings’ to discuss what needs to be done and how everyone can help – and that includes children. There’s no reason why they cannot learn to put their toys away in a designated box or area and no reason why teens and tweens cannot do a regular list of chores in return for their pocket money, mobile phones or access to the home Wi-Fi! It’s a great way of teaching children about finance. As with any situation involving stress, little changes can mean a lot but you do need to take charge of your situation. Sprucing up your home decor can be done quickly and cheaply and you may find your stress levels reduce immediately. Add a bit of luxury just for you for a change and you may find you and the rest of the family will reap the dividends. "Affirmation Cards – Say “I Am” And Become Who You Want To Be"
"How To Spend One Hour Of Quality Time With Your Kids"
I haven’t really got a place to relax in my house. We are moving soon and I am determined to at least have a little area to enjoy some me time in our new house. I really like Bhudda statuss. I just feel they make the home look nice, as well as the plants. I’ve been thinking of getting a Himalayan lamp but not very sure about it’s benefits. ahhh a good point made about stressful triggers. I constantly leave bills and documents about. I’ll try this and file them. You’re so right about having a good declutter, it’s good for the mind too. We have a heated towel rail in the bathroom and it’s so nice to step out of the bath and wrap yourself in a warm towel! Remove the clutter – this is exactly what I need to do but just never have a moment to keep on top of it all! I really need to be minimalist! Love this post! I am determined to make our home more cosy and relaxing. Removing the clutter is number 1 on the to do list! I definitely need to make some more space for relaxation – it’s just so hard to make more space when you don’t really have it but I know I need to. I think having your own space is great. I believe we all should declutter at least once a month. It is also very freeing for the soul. Yes to the relaxing colors. I’ve been wanting to do this for a while and it’s time to mellow out the walls.